Welcome to gethynellis.com: Have you Upgraded From SQL Server 2005? Have you Upgraded From SQL Server 2005? My first Learning Tree SQL Server Newsletter that was sent out back in August was titled SQL Server 2016: Keeping up with Technology. In that post I talked about the reasons why some people/organisations may have been or are reluctant to upgrade to the latest and greatest version of SQL Server, which at this time is SQL Server 2016. In that post I touched on the fact I have clients who still have old versions of SQL Server such as SQL Server 2000 and SQL Server 2005 instances running in production, even though both versions are now well and truly out of support with Microsoft. Does your SQL Server estate need a refresh? SQL Server 2005 went out of support with Microsoft in April this year (2016). 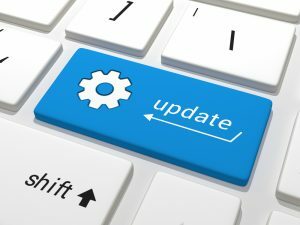 I encourage all my clients, and also, I would encourage anyone reading this blog who have SQL Server 2005 instances to upgrade. I'm sure most have done so already but there will be some SQL Server 2005 instances out there in the wild. If you need any help or assistance with the migration/upgrade process check out the Consulting page and feel free to get in touch. The reason for this blog today was prompted by an email I got from a Learning Tree account manager asking me which courses cover Availability Groups, a client of his was asking about a suitable course. Learning Tree's 141 course SQL Server High Availability which covers, unsurprisingly as the title suggest, the high availability technology available in SQL Server including Availability Groups. The other course that covers availability is 2105 SQL Server Database Administration Skills Upgrade course. This course focuses on the 'new' features introduced in SQL Server 2012, while SQL Server 2016 may be the latest and greatest version if you are running SQL Server 2005 or even SQL Server 2008/R2 then 2105 SQL Server Database Administration Skills Upgrade course will still be of benefit to you...It is actually running in North America this Autumn. Its running in Toronto starting on October 26th. You can attend in class or online. It also running in New York in November 16th to18th. If you are based in the UK or Europe and don't fancy the flight or it's just not possible to travel...You can attend online, it'll run from 2pm until 9.30pm UK time. So you can do work in the morning if want to!